FC Bayern München coach Pep Guardiola may have to plan without Rafinha for his side's first competitive fixture of 2016 after the Brazilian picked up a knee injury at the weekend. The 30-year-old was forced out of the record champions' uncharacteristic 2-1 defeat to Bundesliga 2 outfit Karlsruher SC after just 21 minutes on the field as a second-half substitute on Saturday. Initial tests showed no more than bruising, but he now faces a race against the clock to be fit for Friday's trip to Hamburger SV. 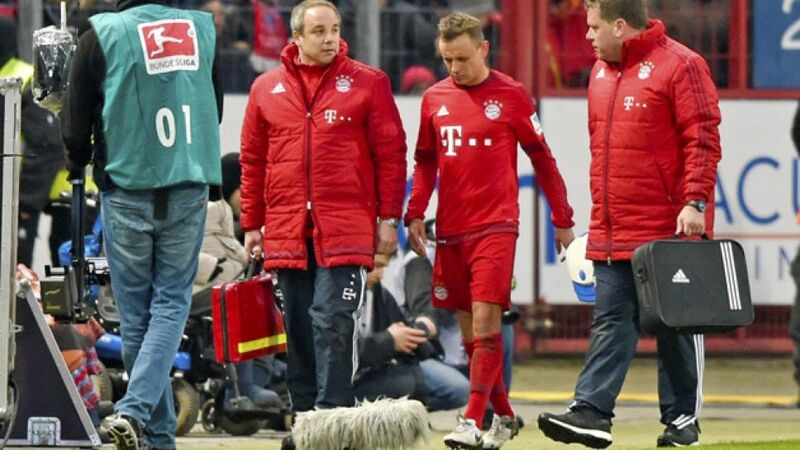 Guardiola is already without Mario Götze (adductor), Franck Ribery (thigh) and Medhi Benatia (hamstring) for the 2016 Bundesliga curtain-raiser at the Volksparkstadion.